For #HellHikeAndRaft last year I needed a pair of shoes for the rafting portion. I don’t partake in too many water sports so I turned to Ahnu Footwear for some help. Ahnu sent over their Tilden IV, the most rugged sandals in their line for me to brave the waters of the Snake River and beyond. 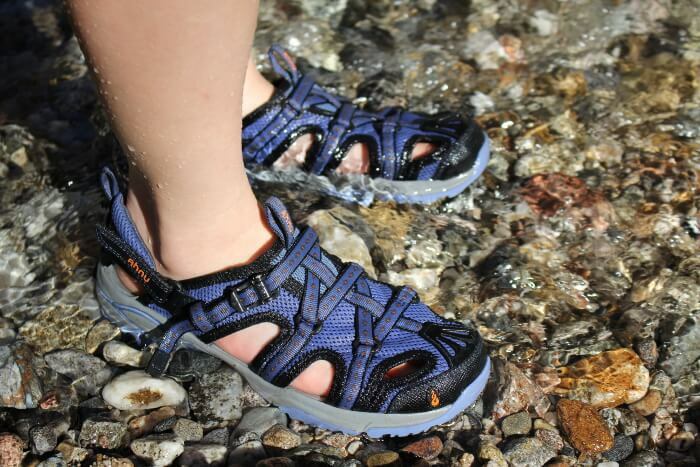 The Tilden sandals are fairly lightweight at 7.4 oz, making it a great river or camp shoe. A mesh upper allows your feet to breathe and dry quickly after immersion in water. Ahnu’s Numentum® Traverse technology supports a multitude of activities from scrambling to biking to hiking. A integrated adjustable webbing lets you dial in the fit of the shoe, while a heel strap lets you secure the fit. 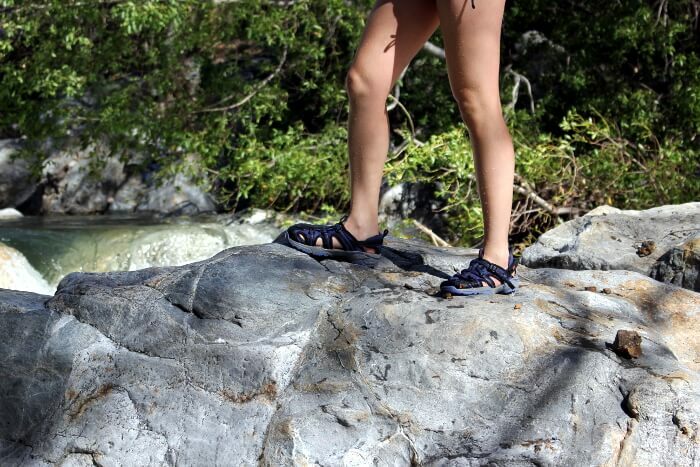 The Ahnu Footwear Tilden IV were a great jack-of-all-trades, master-of-none sandal for days on the Snake River. From wading in the river to rock scrambling to hiking up the canyon, this shoe handled it all. Not once did I slip on wet river rocks and fall flat on my face! Impressive for a person with two left feet and the balance of a lopsided rubber ball. These sandals have cutouts so debris will get in from time to time. The one thing that I disliked most about the shoe was the integrated adjustable webbing. It wasn’t that adjustable and was nuisance to fumble with. I ended up with a pretty huge blister on my foot from the hike down into the canyon and had to tape it up for the remainder of the trip. Trying to insert a nicely taped foot into the sandal was really tough. Not being able to loosen up the shoe easily made it tougher. I relied on careful maneuvering to insert my foot without getting tape lift and gunk everywhere. Aside from that, these are a sandal that I’ve been reaching to time and time again for all of my water bound adventures. I’m looking forward to swimming around in alpine lakes and rivers this summer! Buy through Ahnu Footwear for $100, Amazon, or through Moosejaw. These were sent to me for review. For other reviews of Ahnu footwear, please click here.